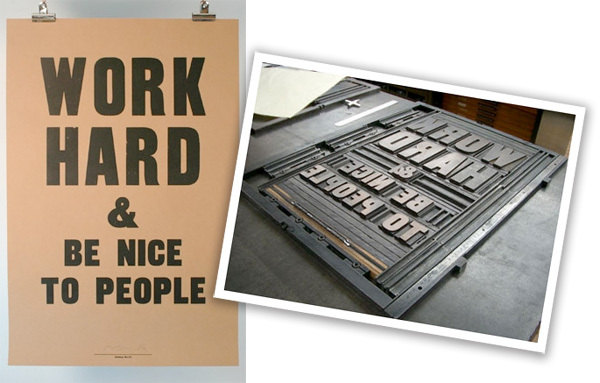 Woke up smitten by the work of Anthony Burrill this morning as i went through his posters on Concerte Hermit… and realized it all felt so familiar because of his Wallpaper Covers back in June 2008. See more on the next page! I find it ironic that a poster made using a method that allowed books to be reproduced quickly and cheaply is being sold for $50. Maybe if he carved the letters himself, but still. It is okay to have everything you want? That depends on what you want. You can’t have my kidney. 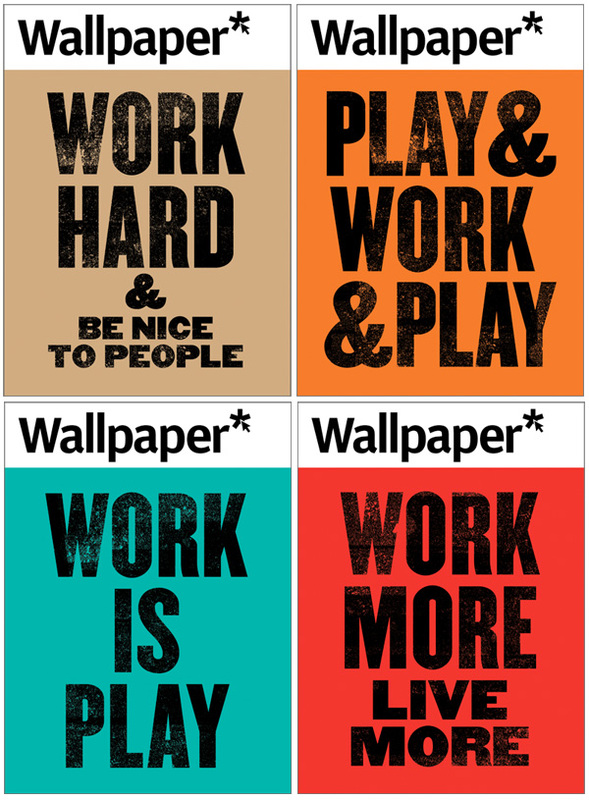 I love the “Work Hard & Be Nice To People” one! 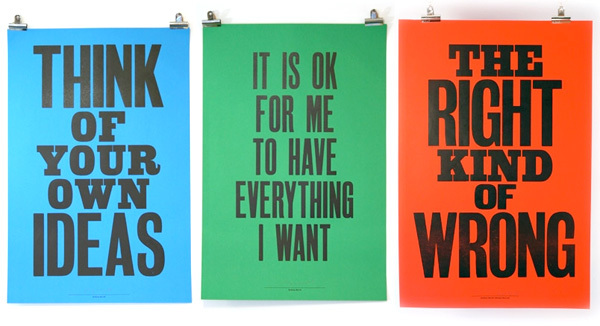 These remind me of Frank Chimero’s Inpirational Posters.